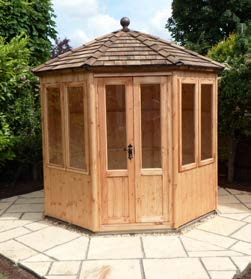 The Octagonal Brampton is a perfect example of A&Js flair for design & skill of construction using the attractive log pattern cladding. 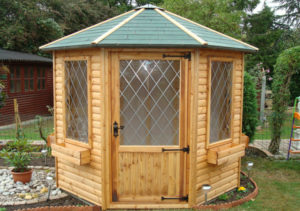 The Brampton is available as an 8’ x 8’, 10’ x 10’ or 12 ‘ x 12’ Building. 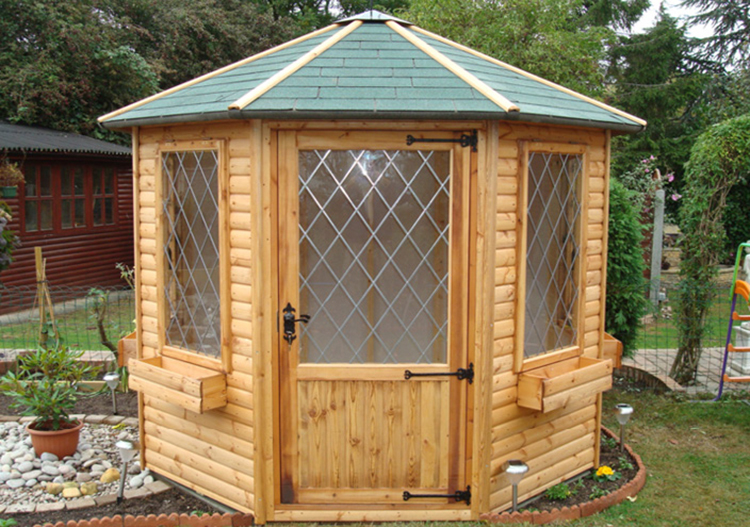 The 8’ x 8’ comes with a single fully lockable mortice & tenon door, whilst the 10’ x 10’ & 12’ x 12’ have double doors. 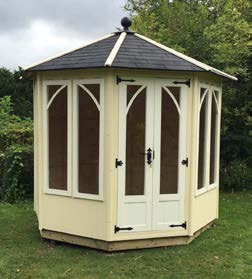 All sizes come with two Georgian, leaded or cottage style windows, a timber floor. black, red or green felt tiles, a dome on the roof , toughened glass as standard & is externally treated with a spirit based preservative. The Stratford comes in 8x8 only and is vertical T&G Shiplaps boards. Cedar shingles, Window boxes are an optional extra on both models.